GET READY TO FILL THE VOID IN YOUR LIFE! Have you ever wondered…”why the HUCK am I here on this Earth?” Well, if you have, you are like millions of other people with the same struggle. I recall being at a crossroads in my life where I was stuck and totally disgusted with myself. I didn’t know which way to turn and felt completely lost & EMPTY. In fact, I had a VOID in my life which I tried to fill but never could REALLY make sense of it ALL. I wanted things to be different and needed to feel better about myself but DID NOT know how to get there! The UGLY truth was… I had no clue why I was feeling that way nor did I know how to make those bad feelings go away. And, then something magical happened. The word PURPOSE began popping up everywhere – people were talking about it and books were being written as well. I finally got it…the emptiness felt was coming from my desire to REALLY feel connected with my life. What was missing? My Purpose! This is when the REAL work began. The process of finding my purpose literally changed everything in my life. I went from being un-happy, scared, quiet, and having challenged relationships to NOW having my confidence soar through the roof, being able to speak my mind, being more pleasant to deal with on a daily basis, and having the drive to help others in a more meaningful way. You have landed on the right page! This 35-page eBook will walk you through a quick & easy process to find your purpose and allows you to stop wasting precious time. It removes the guesswork and points you in the right direction to living your best life. It will improve your life as you get the know-how & inspiration to finally start living again. Learn 5 simple steps that will lead you to being among an exclusive group of people worldwide that know their reason for existing. What purpose is & what it is not. Determine if purpose & destiny are the same and what is the missing link that connects you to enjoying your life. Understand how God sees you & the BIG plans He has in mind for YOU. Learn how to own your life which you allowed others to take over. Figure out how to get your power back as a person by knowing what your skills are and how they un-lock your purpose. You will be amazed at how much you are capable of doing & watch your confidence level increase instantly! Re-live the dreams you had as a child and thought would never come true. Also, understand how to apply in your life those divinely-inspired visions & images you see often. Find out what your life experiences say about your purpose & how to turn any difficult situation into a powerful teaching tool. Put all the pieces together and recognize those common themes in your life which lead you directly to your purpose. Expect to shift from finding purpose to knowing purpose. 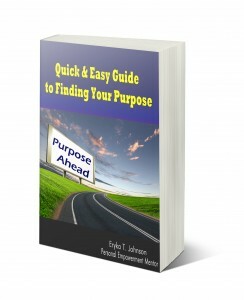 ALSO, get BONUS tips that will help you spot & live out your purpose more freely. Get a BONUS 25-minute recording that will act as your personal coach & step you through the eBook. Gain more insight and hear some FAQs that many women ask that may surprise you! 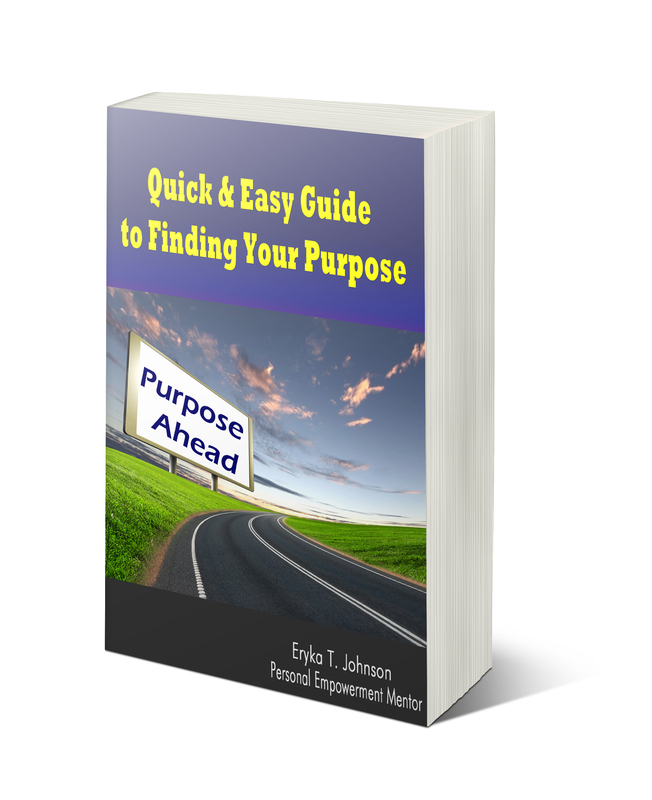 If you are ready to take the first step and start living again, you need the Quick & Easy Guide to Finding Your Purpose E-book. Order now and get your step-by-step plan + BONUS recording to finding out your purpose which is your reason for existing on this Earth.